If you asked most dog owners the one thing they felt a bit guilty about, they might answer that they wish they groomed their pooch more regularly! Dogs generally don’t need a lot of bathing unless they get excessively dirty, but they definitely need an occasional bath, regular nail trimming, and monthly flea and tick treatments. 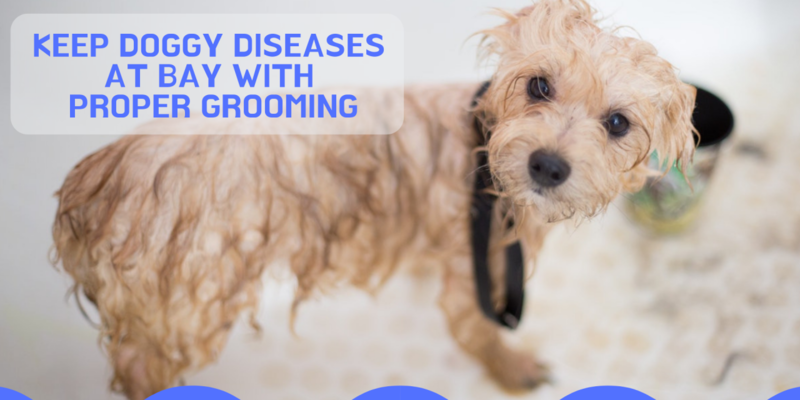 According to academics at Washington State University, it is safe to bathe your dog around once a week, though many vets (like Dr. Mercola’s Dr. Karen Becker) advises bathing a dog only when it needs it to avoid excessive dryness. Grooming your dog will not only make it more pleasurable to be around him but also alert you to the presence of any signs of disease. What are some of the most common problems caused by a lack of grooming? Around 80% of dogs have oral problems, yet most of their owners are unaware of this fact because they do not groom their dog orally. If your dog tends to build up plaque, brushing and picking the right food are key, since otherwise, your dog can develop conditions like gingivitis, cavities, or pyorrhea, all of which can eventually cause them to lose teeth. The next time you visit your dentist, request a dental check-up. 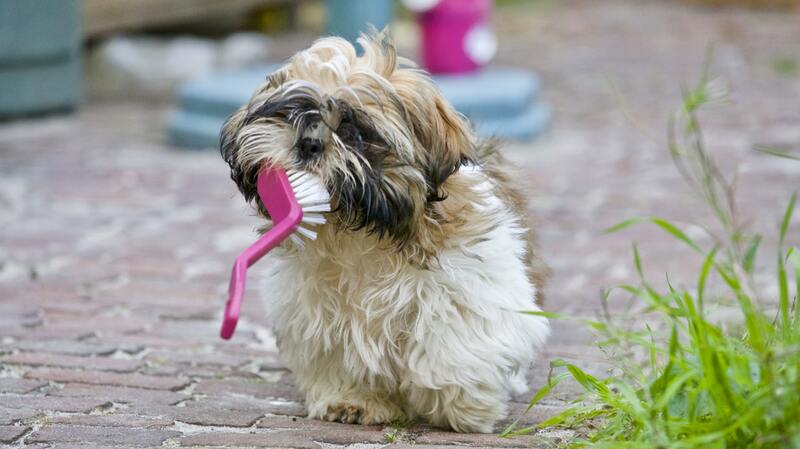 A professional cleaning may be required, and your vet may also give you regular grooming advice to maintain good oral health. Of the many grooming habits you should keep up, one of the most vital is that of applying a flea and tick treatment every month (or every three weeks, as recommended by your vet). Failing to do so can result in itching and pain for your dog. Fleas can also be notoriously difficult to eliminate from a home and if left unattended, can result in skin sores and infection. Ticks can also cause dangerous diseases and conditions, including Lyme disease, anaplasmosis, and rocky mountain spotted fever. If you see a hairless, oozing, red spot on your dog’s skin, it may be a hot spot – a condition that can be caused by poor grooming or poor quality food. Fur may knot up and become matted, keeping skin too wet and becoming an ideal breeding ground for bacteria. Hot spots should be seen to immediately by a veterinarian, since if you let this problem slide, your dog may require antibiotics to stop the problem. Matted skin can cause wounds and can also lead to an accumulation of feces that can stop your dog from pooping well. 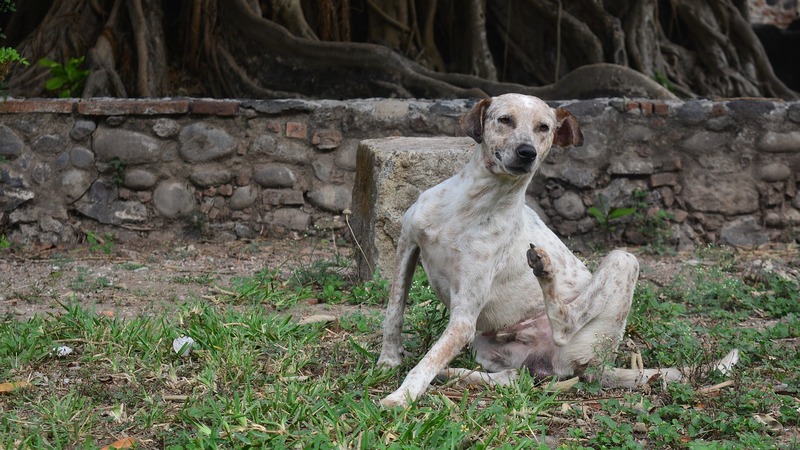 In some cases, severe matting has resulted in amputation owing to poor circulation of blood to limbs. Allowing your dog’s nails to grow too long can cause their feet to splay and also make them lose traction on slippery surfaces. 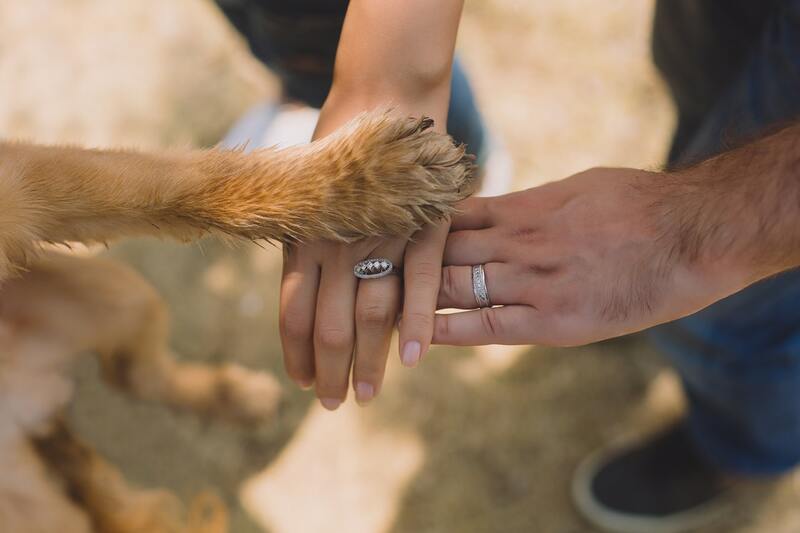 Make sure to keep your dog’s nails short throughout their lifetime. Letting this part of grooming slip can lead to the growth of a longer quick and once this happens, it may be impossible to keep nails as short as they should be. We have mentioned just a few problems caused by poor grooming. When the lazy bug hits, just remember the many benefits of following a regular routine. If you are too busy to stick to it, consider a professional grooming service to keep your pet in tip-top condition and to ensure any potential skin or oral problems are identified and treated quickly.